Poll results by THEVOW.ie finds that over 50% of parents chip in towards the cost of their child's big day. While for most it's true that in the eyes of your parents, you'll always be their little boy/girl, it seems when it comes to weddings, you're old and bold enough to fend for yourself. And that's probably why when we asked readers if parents should still be expected to pay for their big kid's big day, 77% said no, they shouldn't. A poll by THEVOW.ie found that just 23% would expect parents to cover the cost of a wedding*, however, the majority of those polled (53%) revealed that their parents did in fact chip in for the big day**. A massive 78% of those who had received a financial contribution/monetary gift from their parents received at least €1,000***, which went towards the cost of their big day. 18% said they received between €5,000 and €10,000, while 7% said their parents had contributed over €20K to their wedding costs. The average parents contributed to their child's wedding was between €1,000-€3,000 (25%). Read more: Have your say: Should parents pay for their child's wedding? On Facebook, poll takers offered mixed opinions on whether or not parents should help towards the big day budget. My daughter is getting married in October and they are paying for the wedding themselves we haven't been asked for a penny,they are having a civil ceremony with 65 or less. Its a personal matter, We have one daughter and yes her dad paid for the venue. Why not, she's our only girl and we love her. Its nobody else's business anyway. My parents and parents in law contributed to my wedding and when the time comes we would like to help with our children's weddings. Each there own, I suppose. No they shouldn't be expected to. Don't get married if you can't afford the wedding you want. My parents paid for our wedding dinner but that was because they wanted to do it as our wedding present. We did have the money saved to do it ourselves. They're not obliged but it would be nice of them to at least offer to pay for something as they're gift to the couple even. I dont think they're expected to contribute but most parents who can afford to do anyway. "They're not obliged but it would be nice of them to at least offer to pay for something as their gift to the couple even," said one commenter. "We have two children married and we give them some money to help out with the bills. They really appreciated it as some of the guests were our friends too" said another. Others said the matter was a personal one, or 'each to their own'. "It's a personal matter," said one mother. "We have one daughter and yes her dad paid for the venue. Why not, she's our only girl and we love her. It's nobody else's business anyway,"
One bride said she intends to 'pay it forward' when her own children tie the knot. "My parents and parents in law contributed to my wedding and when the time comes we would like to help with our children's weddings. Each there own, I suppose." 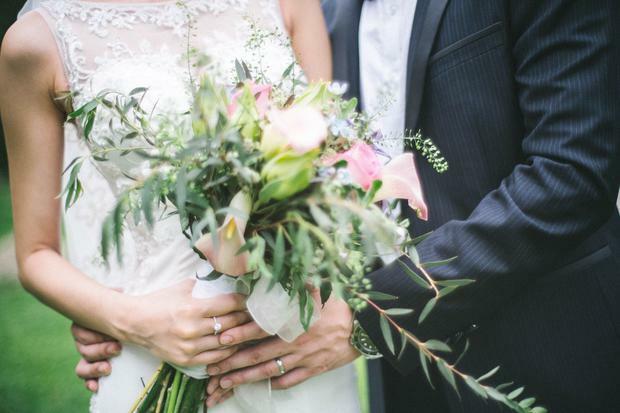 With the average cost of a wedding in Ireland at approximately €25,000, it seems that while not expecting a hand out from their parents, many couples appreciated any additional help they received towards the cost of their big day. "My parents paid for our wedding dinner but that was because they wanted to do it as our wedding present. We did have the money saved to do it ourselves," said one bride. "Don't get married if you can't afford the wedding you want." "Well it was a tradition in our family to pay for the wedding lunch for daughters," said a mother who covered some of the costs of her daughter's day. "Thank god I only had one..."